Cats are beautiful animals, but even beautiful animals need to relieve themselves. There’s not a lot you can say to your neighbours about their cats going to the toilet on your garden, it’s simply in their nature; so if you have a problem you’ll need to tackle it head on. The problem with finding a solution is that there’s always going to be a cat that’s immune to your actions. Solving this problem can be tough, especially if you don’t know what to look for. That’s why we’ve put together this resource – an all-inclusive guide, specifically designed to help you find the best cat repellent. If you’re wondering how to stop cats pooping in garden then do not worry we have produced a very helpful guide that provides all the information you need to know, be sure to check it out and leave us any feedback. Before you read ahead and start trying out these solutions, there are a few steps that will help you in your quest. You must always remove cat faeces from your garden as soon as possible. Contrary to popular belief, it’s not a good fertilizer and could harm your plants. Cats will often go back to the same spot to mark their territory. If that spot is on a hard surface, clean it with soapy water to try to diffuse the smell as much as possible. Believe it or not, cats prefer the smell of their own urine and poo to a nice fragrant soap. If you see a cat in the act, try to stop it, but don’t scare it. Walk over to the cat, pick it up and put it somewhere else. 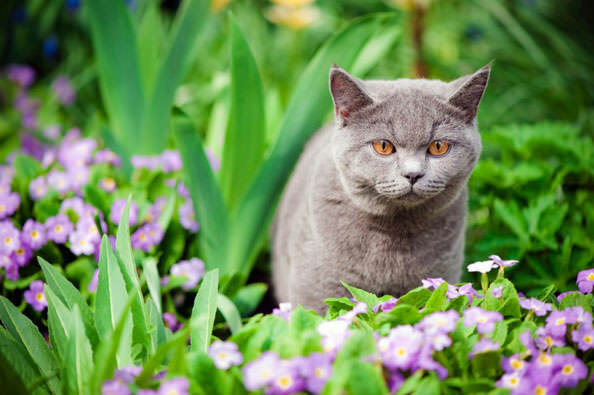 While the advice in this section won’t prevent cats from using your garden as their toilet, it will strengthen whatever method you choose to use. Using sound is one of the safest and most effective ways of getting unwanted cats out of your garden. 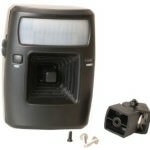 Battery-power cat repellers are available which will deter cats and other pests away by projecting a high-pitched sound. This sound is often too high for human ears to hear. These repellers will use infra-red sensors to detect movement, which in turn triggers the sound. 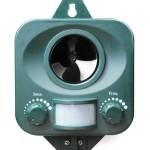 Ultrasonic sound devices are known for being very effective and are much safer than many other forms of cat deterrent and usually come in either solar or battery form. There is one major flaw that many battery operated devices have, and that’s that they don’t all have battery life indicators! Because the sound is often too high-pitched to hear, it can be virtually impossible to tell whether or not the device is still working. If you are going to invest in a battery powered cat repeller just bear in mind that you may have to fork out extra for a device with a battery indicator. 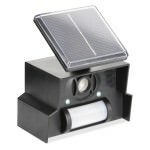 With a solar powered cat repeller you won’t run into any issues regarding energy levels, unless you place it in an area that isn’t exposed to sunlight. However, if you install it in the correct place, then it should completely rid your garden of cats. 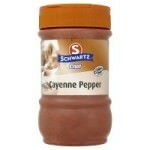 Cats apparently dislike cayenne pepper because of its spiciness. After getting it on their fur they will often feel agitated. While you won’t have to cover your entire garden with it, simply scattering it in and around the area where they have done their business could be enough to sort out the problem. It’s worth noting that nine times out of ten these natural methods won’t be as effective as store-bought treatments. If you have a more serious problem you’ll probably have to use a manufactured product. 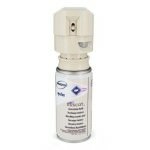 Most cat repellent sprays contain aluminum sulphate, which is generally despised by cats, dogs, birds and rodents. One bottle of repellent spray usually contains enough fluid to cover the average garden for an entire year. Cat repellent spray smells awful, but not all cats hate it. In fact, it could annoy you more than your local cats. You may have to test a few different sprays before you find one that works effectively. If all else fails, chicken wire is one surefire method of getting cats off your garden as they literally hate walking on it. Of course you can’t cover your entire garden in chicken wire, but you could place it in specific “hot-spots” that tend to be common targets. You’re busy. Let’s be honest, there’s plenty of things you’d rather be doing than playing neighbour watch all day. Sitting around waiting for the neighbours cat to strike is enough to drive anyone mad. Installing a cat repellent device in your garden is the quickest and easiest way to be protected. And best of all you’re teaching the cat to stay away permanently. Your garden is important. You’ve spent the entire year maintaining your garden – watering that rose bush, digging up those pesky weeds and cutting that grass to perfection. You didn’t do all that to have it ruined by a cat digging holes and leaving it’s faeces. Not using a repellent is dangerous. It’s well known that some cats carry a parasite called Toxoplasma gondii. If this is transferred to humans beings, it can lead to flu-like symptoms and muscle pain, which can last for several months. Cat feces is considered dangerous to pregnant women and it can also be a danger to children when playing in the garden. The Ssscat Automated Deterrent can be used to repel cats that are within a 1 metre radius of the device. It sprays a light shot of water when triggered, which scares off the cat and eventually stops them from approaching the given area altogether. Primarily for indoor use, the Ssscat Automated Deterrent is a handy device that’s simple to use, effective, and won’t cause any damage to furniture or décor. 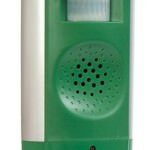 The Pestbye Advanced Cat Scarer is an ultrasonic device that will deter cats from outdoor areas such as gardens and flower patches. Unlike many other ultrasonic devices, it’s designed primarily for cats and may not be effective on dogs or foxes. However, this results in a frequency that’s more targeted and therefore, more effective. 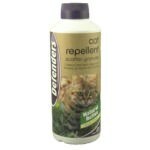 Defenders scatter granules are biodegradable pellets that can be scattered on gardens or between flowers to prevent cats from disturbing the soil. Calculating how many pellets to scatter in a garden is often confusing, which is where Defenders Scatter Granules has an advantage. They’re available in very large quantities that are measured by square footage. Unlike many other pellet based cat repellents, Silent Roar Lion Manure is designed to be placed around the boarders of problem areas. One of the most unique features is that they have actually been soaked in lion dung, which is scent free for humans, yet very potent and disturbing for cats. 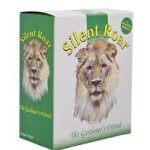 Silent Roar Lion Manure is very effective and one application lasts for roughly three months. The Rentokil FC61 is used to frighten cats, dogs, foxes and rabbits. It’s commonly used to protect fish ponds, chicken coups and bird baths because it’s water resistant, battery operated and not prone to weathering. While it’s a great cat repellent overall, there’s no way to tell whether it runs out of batteries; however, it works wonderfully. Get Off My Garden are scatter crystals which take roughly three weeks to biodegrade – unlike pellets which often disappear within a matter of days. While they are a little in the pricey side, they’re definitely worth the investment and are an excellent way to cover an entire garden. 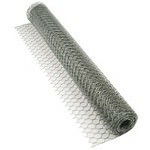 The Contech Stayaway gets rave reviews and is often considered to be one of the best cat repellers on the market. 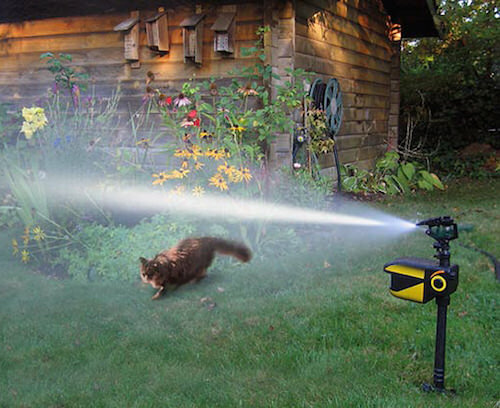 Designed specifically for indoor spaces, it sprays a light blast of water whenever a cat gets close by. People often report instant results and after just a few weeks are able to remove the device altogether. The Contech Scarecrow covers and impressive 1000 square foot, making it perfect for large gardens. In addition to cats, it scares away rabbits, dogs and foxes. The device is simple to install and can be placed in anywhere from open gardens to flower patches. When it detects movement it will spray a surprise sprinkle of water, which will deter animals from the area. The Defenders Mega Sonic cat repeller will trigger a high-pitched noise when activated. Unlike other ultrasonic and spray devices, it detects heat instead of movement, which ensures it only triggers when in the presence of a cat. This alone makes it one of the best ultrasonic devices on the market and gives it a unique edge that other cat repellers simply can’t compete with.